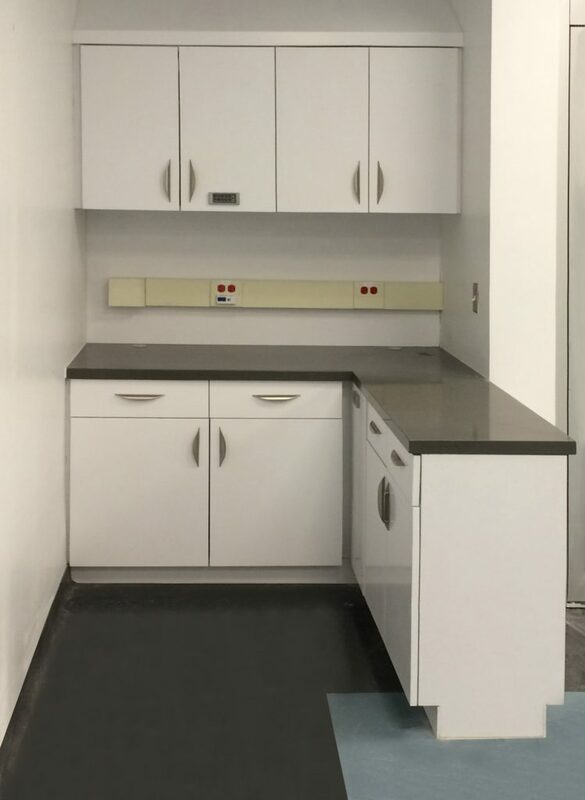 We use Corian® solid surface because it provides greater durability, design flexibility and it far more hygienic and low maintenance than traditional materials, like wood or laminate. When properly cleaned, Corian® surfaces do not support the growth of bacteria and viruses. In healthcare settings, it can help reduce the spread of Hospital Acquired Infections (HAIs) and create safer environments. For a full list of advantages, click here. We understand that no project is ever the same. Our modular systems give you the design flexibility to adapt them to your exact requirements. Our designers also provide complete design support to help meet budgetary needs. We use unique patented construction techniques to provide you with greater durability, consistency of quality and performance. Thanks to our special partnership with Corian®, we can offer you highly competitive pricing. We can also refine our solutions by installation, material and application to help meet any specific budgets you have. Our solutions are specifiable as a Division 12 specification, to help with procurement and offer greater long term value for your clients. Our systems are also designed to be future proof. When needs and technology change, they can too.